We have written before about the fact that we should live out our faith with actions. We have already made in-depth studies about some of these actions, like prayer and Bible study. These actions start adding value when they become a part of who you are. It is thus necessary to find a way of establishing these actions into your daily routine. 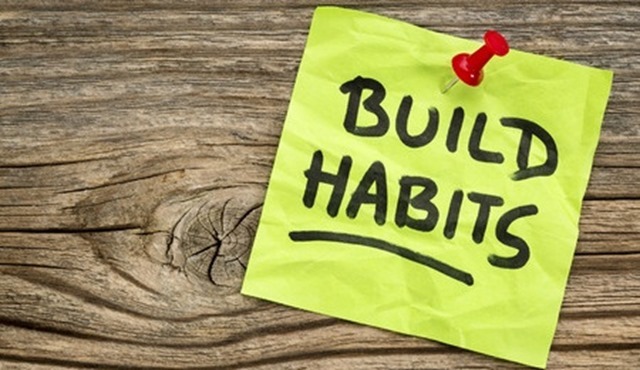 In this article we will look at the benefits of establishing habits in our lives. We also need to ensure that these habits keep adding value in our lives. Let us see what we can do to ensure this. When we think of habits, many other words pop into our minds. This includes words like custom and tradition. To be precise about these terms it is always good to look up some definitions. We will use the Merriam-Webster’s collegiate1 dictionary to help determine the differences between these words. The dictionary defines habit as “a behavior pattern acquired by frequent repetition that shows itself in regularity or increased facility of performance.” The second line of the definition is even more revealing: “an acquired mode of behavior that has become nearly or completely involuntary.” Thus we see that it is a frequent behavior with some pattern attached to it. The dictionary defines custom as: “a usage or practice common to many or to a particular place or class or habitual with an individual.” We see that we have now extended the habit from one person to a group of people. We can base this grouping on one of many factors. Next the dictionary defines a tradition as: “an inherited, established, or customary pattern of thought, action, or behavior.” Now we see that the definition has added a third dimension. We see that the custom is inherited. This means we are dealing with a custom that people hand over from generation to generation. Thus we see a progression from a personal habit to more than one person. This custom is then handed over, written or verbal, to the next generation to establish a tradition. Why do people use habits? I am sure that you have also seen many quotes and sayings that ridicule the habits of people. Seldom do we see positive statements being made about habits and traditions. Most popular views talk about how limiting traditions can be. We also see quite often how we blame habits and traditions for the fact that people are not willing to adapt or change. Yet, habits can also be one of the quickest ways to ensure change. Cue – the specific thing that will trigger the habit to start. These are normally either: location, time, emotional state, other people or a prior action. Reward – The reason why we repeat this action. The reward can be physical, cognitive or emotional. This is important to understand, not only if you would like to form a new habit, but also if you would like to break a bad habit or reshape an existing habit. Fundamental to this is the believe that change is possible. If people do not have this believe they will not be able to reshape their habits. 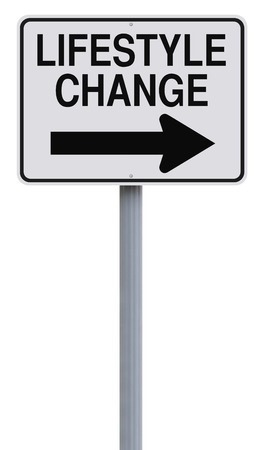 If we want to effect change in what we do, we need to determine the basics of this habit, and then work out a plan to address some aspects of this habit. We could decide to impact the trigger. Example, if I always buy books I do not really need, one way would be to reshape the habit would be to stay out of bookshops. I could also try to break the connection between the trigger and the reward. By questioning the reward (or perception of reward), or finding a better reward, I could also reshape the routine. By making a list of all the books I already own but have not read, I also raise a doubt in the reward of buying another book. One of the implied benefits of habits is that it gives us a sense of security. This sense of security is created by the predictability in the habit. If things are predictable it removes doubt. This in turn brings the sense of calm that we all crave. It is why people will perform a certain habit whenever they expect a period of stress. The security we have in making and drinking a cup of coffee would allow us to relax before that crucial job interview. Even though the caffeine will actually not help to calm you down. Another concept that is as important as the pattern of a habit, is the concept of cornerstone habits. Cornerstone habits are the fundamental habits that make the other habits happen. An example of a cornerstone habit is self-control. If I have established the habit of self-control by ensuring what I do has the best long-term outcome, it is easy for me to reshape the habit of eating too much. If I do not have this cornerstone habit, I will always choose the short term reward. Now we need to use this bit of theory to work out how we could set ourselves apart to YHVH. The first step would be to identify the cornerstone habits that need to be in place. These cornerstone habits will in turn allow us to put some other habits in place. Here are some of the cornerstone habits that we have identified. This is most likely not a complete list. We would love to get some feedback from you on more of the cornerstone habits of our faith. Let us investigate each of these in a bit more detail. The most basic thing that influences the way we believe is our faith in YHVH. Unless we believe that there is One Elohim, we cannot set ourselves apart unto Him. If we have faith, we will rely on YHVH. If we rely on YHVH to do what is best for us, we will have His shalom. This is the reward of our faith. We will experience peace (shalom) if we know that He is in charge and He has a plan for each of us. 3 “The steadfast of mind You will keep in perfect peace, Because he trusts in You. 4 “Trust in YHVH forever, For in YHVH the Elohim, we have an everlasting Rock. In peace I will both lie down and sleep, For You alone, O YHVH, make me to dwell in safety. Hand in hand with this faith, goes faith in our salvation. We know that our salvation comes via Y’Shua our Messiah. He is the one that brings us in good standing with YHVH, even though we fail on a daily basis. 1 Therefore, having been justified by faith, we have peace with YHVH through our Master Y’Shua the Messiah, 2 through whom also we have obtained our introduction by faith into this grace in which we stand; and we exult in hope of the glory of YHVH. 8 But YHVH demonstrates His own love toward us, in that while we were yet sinners, Messiah died for us. 9 Much more then, having now been justified by His blood, we shall be saved from the wrath through Him. 26 For you are all sons of YHVH through faith in Messiah Y’Shua. 27 For all of you who were baptized into Messiah have clothed yourselves with Messiah. 28 There is neither Jew nor Greek, there is neither slave nor free man, there is neither male nor female; for you are all one in Messiah Y’Shua. 29 And if you belong to Mesiah, then you are Abraham’s descendants, heirs according to promise. If we do not have faith, the result is usually stress. We worry about what will happen next. We do not know who is in charge, thus we are not sure if the result will be positive or negative for us. Stress in return leads to a bunch of other bad habits that could cause more problems in our lives. We also see in Scripture that a lack of faith caused the people to experience fewer miracles in their lives. Yet, the people that did have faith in Y’Shua as their Messiah, experienced the healing that they were looking for. 54 He came to His hometown and began teaching them in their synagogue, so that they were astonished, and said, “Where did this man get this wisdom and these miraculous powers? 55 “Is not this the carpenter’s son? Is not His mother called Mary, and His brothers, James and Joseph and Simon and Judas? 56 “And His sisters, are they not all with us? Where then did this man get all these things?” 57 And they took offense at Him. But Y’Shua said to them, “A prophet is not without honor except in his hometown and in his own household.” 58 And He did not do many miracles there because of their unbelief. Here we are specifically referring to the fear that comes from respect. If we understand that YHVH is in charge of everything, and that He is a just Elohim, we know that need to fear (respect) Him. We show this fear via awe and reverence. 28 Therefore, since we receive a kingdom which cannot be shaken, let us show gratitude, by which we may offer to YHVH an acceptable service with reverence and awe; 29 for our Elohim is a consuming fire. 17 If you address as Father the One who impartially judges according to each one’s work, conduct yourselves in fear during the time of your stay on earth; 18 knowing that you were not redeemed with perishable things like silver or gold from your futile way of life inherited from your forefathers, 19 but with precious blood, as of a lamb unblemished and spotless, the blood of Messiah. Part of this cornerstone habit is to give up our fear of things other than YHVH. This includes the fear of men, their ideologies or religion. We need to establish the cornerstone habit of convincing ourselves that nothing is greater than the Creator of all. At the same time this cornerstone habit also needs to establish in us the awe of His righteousness. He is a just Elohim that will repay the deeds of those that do not love Him (1 Peter 1:17). We have seen from Scripture that it is foolish to despise His wisdom and instruction. 9 The fear of YHVH is clean, enduring forever; The judgments of YHVH are true; they are righteous altogether. 10 They are more desirable than gold, yes, than much fine gold; Sweeter also than honey and the drippings of the honeycomb. The fear of YHVH is the beginning of knowledge; Fools despise wisdom and instruction. We also see from these Scriptures that we will be rewarded if we fear our Elohim. We see that it is better that great treasure and that it is the beginning of knowledge. 26 In the fear of YHVH there is strong confidence, And his children will have refuge. 27 The fear of YHVH is a fountain of life, That one may avoid the snares of death. Better is a little with the fear of YHVH Than great treasure and turmoil with it. 9 Therefore we also have as our ambition, whether at home or absent, to be pleasing to Him. 10 For we must all appear before the judgment seat of Messiah, so that each one may be recompensed for his deeds in the body, according to what he has done, whether good or bad. 11 Therefore, knowing the fear of YHVH, we persuade men, but we are made manifest to Elohim; and I hope that we are made manifest also in your consciences. Y’Shua told us that this should be the cornerstone of our faith. If we love YHVH, we will want to do the things that please Him. YHVH has given us clear instructions of what He would like us to do. Thus, if we have the habit of loving YHVH, we will choose to do the things that please him. We will act not only from fear(respect), but also from love. If we love our neighbor, we will also do the things that make our neighbors happy. This implies that we will not do things that harm our neighbors. This is why other commandments like the prohibition against stealing or murder, depend on this cornerstone. If we have the habit of loving YHVH and our neighbors, our actions will be driven by the will to do what is pleasing to YHVH and good for our neighbors. This will remove yourself from the center of your world and actions. We will become more focused on Him and others. 14 For the whole Law is fulfilled in one word, in the statement, “You shall love your neighbor as yourself.” 15 But if you bite and devour one another, take care that you are not consumed by one another. 2 Bear one another’s burdens, and thereby fulfill the law of Messiah. 3 For if anyone thinks he is something when he is nothing, he deceives himself. We see from this last verse that Paul also believed that if we make YHVH and other people more important, it is easier for us to stay away from pride, or a lofty self-esteem. Although these cornerstone habits are fundamental, they are only the beginning of a set apart life. We still need to build the walls and the roof of the house. We do this by building more habits on top of these cornerstone habits. The cornerstone habits also direct us to which of our habits we should break and which ones we need to reshape. We see from James, that we ought to turn our faith into more works. These works will be the routines of our habits. From Y’Shua we also see how we should turn the cornerstone habit of love for YHVH into a habit of obedience to His instructions. Thus, we first establish a solid foundation and then we build this out by adding more habits that support these cornerstone habits. At the same time we need to change our existing habits to ensure that they do not contradict out cornerstone habits. In an article like this, we cannot go into each good habit that you should have. We will focus on a couple of habits that we believe to be critical for living a set apart live. The first three, prayer, tithing and fasting are the three topics that are mentioned in Scripture. They are also mentioned in the early writings when righteousness is defined. In Matthew 6, Y’Shua describes a number of practices that show our righteousness. What are the topics that He addresses? These are not the only ones He discusses. He also has some thoughts for us on forgiveness, storing treasures in heaven and having faith in the provision of YHVH. What is interesting is that the three topics of prayer, tithing and fasting seems to be a recurring pattern when speaking about righteousness. In one of the earliest writings, the Didache3 of around 50 C.E., also see a lot of focus on these topics. (5) “Give to everyone who asks you, and do not demand it back,” for the Father wants something from his own gifts to be given to everyone. Blessed is the one who gives according to the command, for such a person is innocent. Woe to the one who receives: if, on the one hand, someone who is in need receives, this person is innocent, but the one who does not have need will have to explain why and for what purpose he received, and upon being imprisoned will be interrogated about what he has done, and will not be released from there until he has repaid every last cent. Let us look at some Scripture that supports these habits in our lives and what potential ways we can implement these. We have written an article that covers the details of prayer Prayer is the one habit that will get us closer to our Elohim. If we make a habit of spending time with our Farther, He will bless us with a better relationship. This, in turn, will provide us with more tranquility in our lives. In the days of the Daniel, as well as the days of the Apostles, it was common practice to pray at least three times a day. This was typically done to coincide with the times that the offers were being brought in the temple. An easy way to establish this habit is to also start with fixed times. We have found that prayer early in the morning and before going to sleep is the easiest to put in place. Supplement this with praying during meals, and you are already up to five times a day. This is one of the habits that we can also share with other family members to help us in making it stick. We have already written a number of articles on why we believe we are still required to tithe. It remains one of our responsibilities to provide for the widows and orphans. These activities is how we further support the cornerstone habit of loving YHVH and our neighbor. 17 But whoever has the world’s goods, and sees his brother in need and closes his heart against him, how does the love of YHVH abide in him? 18 Little children, let us not love with word or with tongue, but in deed and truth. 15 If a brother or sister is without clothing and in need of daily food, 16 and one of you says to them, “Go in peace, be warmed and be filled,” and yet you do not give them what is necessary for their body, what use is that? 17 Even so faith, if it has no works, is dead, being by itself. Then way to do this habit, is to start the way that Paul also recommended. He recommends that people put aside money on the first day of every week. Then, when they need to help others, they will have money available. We have formed the habit of putting our tithing money away and keeping it separate from our usual budget. Then, whenever we feel the need to provide for others, we have the funds available without any impact on our normal budget. This also allows us to ensure that we spend our third year tithe in time. This is also one of the habits we need to instill in our children as early as possible to ensure that they exhibit their love for others in an action, not only in words. This is the one habit that has caused many heated discussions within the community. We see a lot of people debating the need to fast. Yet, if you do a detailed study on why and how to fast, you will find enough proof to see that this habit is Scriptural. Y´Shua also fasted before hasatan tempted Him. 1 Then Y´Shua was led up by the Spirit into the wilderness to be tempted by the devil. 2 And after He had fasted forty days and forty nights, He then became hungry. We have seen earlier that it is one of the habits that Y´Shua discussed as a way to show our righteousness. When Y´Shua was questioned about the fact that His disciples do not fast, He explained that the timing was not right. 14 Then the disciples of John came to Him, asking, “Why do we and the Pharisees fast, but Your disciples do not fast?” 15 And Y´Shua said to them, “The attendants of the bridegroom cannot mourn as long as the bridegroom is with them, can they? But the days will come when the bridegroom is taken away from them, and then they will fast. We have seen many testimonies of people achieving huge breakthroughs in their lives once they have combined praying and fasting. It does not necessarily need to be a fixed appointment, but it should be a habit when we are experiencing difficulties and need a breakthrough. If we want to know what YHVH wants us to do, we need to study His Word. He has used many people to reveal Himself to us. Thus, if we love YHVH and want to do what He requires from us, we need to know what exactly that is. This is one of the main purposes of why we should study the Scriptures. We see that we will be blessed if we walk according to the law of YHVH. 1 How blessed are those whose way is blameless, Who walk in the law of YHVH. 2 How blessed are those who observe His testimonies, Who seek Him with all their heart. 3 They also do no unrighteousness; They walk in His ways. This is a habit that should at least be a daily occurrence in our lives. It is also a habit that we could share with others by having frequent Bible Study meetings. We should also make all effort to ensure that this habit is well established within our children. It is always good if they can follow our example. Make sure your kids see you doing you Bible Study on a regular basis. If we want to make His ways the default way, it needs to become an automatic response. The only way this can happen is if we store His Word within ourselves. This is why it is so crucial for us to form the habit of committing His Words to our minds. Now that we know why it is important to form good habits and which habit we should be establishing, it is important to also look at a practical way of doing this. I have already mentioned the book – “The Power of Habit” by Charles Duhigg. This book is a good detailed study to work through if you are serious about using habits to improve your life. I will also share with you some more tips that I have picked up along the way. These are not necessarily a complete “system” but they have helped me. This is the key point that Duhigg makes. If we want to establish a new habit or reshape an existing habit, you must have a plan. This plan needs to address the three elements that he identified. What are the detailed activities? If you want to break a bad habit, it is a good idea to create separation between the trigger and the activity. For example, if you want to quit smoking, you can put a delay between the trigger e.g. finishing a meal, having a coffee, getting in your car and the action of lighting the cigarette. First, start with a 15 minute delay, then stretch it to 30 minutes and continue until you get to at least 2 hours. If you want to establish a new habit, it is a good idea to use an existing habit as a trigger for a new one. Do your Bible study while you have your first cup of coffee/tea in the morning. Or say a prayer before going to bed. In this plan you also need to make sure that you include some of the details. How will you do Bible Study? Do you simply start with something like the Torah Portions. Or do you start reading from Genesis 1.1 and try and complete the Bible in one year? Make sure you have a plan. If you can add a reward to the habit, it makes the adoption even easier. Example, if I have read the whole Bible at least once, I will buy that new Study Bible that looked so interesting. All these things make it a bit easier to establish a good habit. The other bit of advice that I can offer comes more from my professional experience in change management. Simply put – “All or nothing only has two outcomes. At best it gives you a 50% chance of success.” What does this mean? Do not set goals for yourself like “I will read my Bible for 15 minutes every day.” and then expect it to happen 100% from that day forward. Rather use a gradual approach. In the IT industry, we use short cycles with frequent feedback to ensure that we can establish a sustainable change and a positive outcome. We can apply the same logic to our habits. If you are implementing a new habit, do it for 5 days. Then check your success and failures. Learn from these and adjust your plan. If you did not have success reading your Bible every morning, does it work if you do it at night? Do not make one slip a reason to abandon the habit. Anticipate these slippages and use them to improve the habit. If you expect an all or nothing, one slip could ruin the whole thing. There is also a method of putting ourselves under a bit of pressure. With this, we can use other people to hold us accountable for our new habit. If we have another person that we trust and respect in on this, we can use this person or persons, to keep us accountable for our new habit. This accountability is the safety net that we create for the days when our self-discipline is simply not up for it. 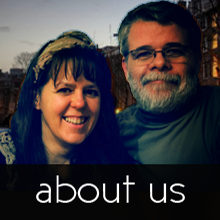 We found that by sharing our Bible studies with other people via this website, we have achieved a lot more with our studies than ever before. It has the extra benefit of allowing others to share with us and correct us where needed. At the same time, if we share the habit with others, it can become a social event as well. This allows us to add the social aspects of one of the benefits for our habit. Nothing like sharing a meal together after a good discussion on the Scriptures that we have studied this week. This is also what makes things like the Torah portions and liturgy so powerful. You are sharing and connecting with hundreds or thousands of people across the world. This was one of the reasons why the people established fixed days for fasting during the second temple period. We can also apply the same pattern to prayer meetings. Jewish men still go to synagogue every morning to pray with other like-minded men. From all these pointers you can see that it is important that you spend some time upfront to decide what it is you want to do. You need to have a plan and then work the plan. If you do this, you will find that creating new good habits itself becomes another powerful habit. We have seen that we can use habits to ensure that we set ourselves apart in our actions. Actions always speak louder than words, thus we need to ensure that we get the gospel across by living a set apart life. Habits, like so many things in life can either be good or bad. We have the ability to shape our habits. As we have seen in this article, we can reshape our habits by making a plan and then implementing this plan. Do be patient with yourself when you are trying to implement change in your life. Do not give up hope to early when at first things do not go exactly as planned. First concentrate on getting the big things right. Think about the cornerstone habits that we have mentioned here. How can you implement these in your life? Concentrate on these things in your thoughts and in your deeds. Go and re-read our article about speaking truth to yourself. In order to do these things we need to have self-discipline. Paul states it clearly that YHVH has given us a spirit of power, love and discipline. We need to use this discipline to ensure that we receive the rewards that YHVH has promised to us. 7 But have nothing to do with worldly fables fit only for old women. On the other hand, discipline yourself for the purpose of godliness; 8 for bodily discipline is only of little profit, but godliness is profitable for all things, since it holds promise for the present life and also for the life to come. 9 It is a trustworthy statement deserving full acceptance. For YHVH has not given us a spirit of timidity, but of power and love and discipline. Please let us know of the progress you make in putting these habits in place in your life. 1. Merriam-Webster, I. (2003). Merriam-Webster’s collegiate dictionary. (Eleventh ed.). Springfield, MA: Merriam-Webster, Inc.
3. Holmes, M. W. (1999). The Apostolic Fathers: Greek texts and English translations (Updated ed., pp. 251–253). Grand Rapids, MI: Baker Books.